All-weather racing at Lingfield Park. Lingfield Park returned from a four-week layoff with a seven-race card as they continue the countdown towards their 125th anniversary raceday on Thursday October 29. The all-weather meeting on Tuesday was enhanced by a gloriously sunny day where rookie handler Ivan Furtado trained his 14th winner from 65 runners when Royal Acquisition landed the five furlong Class 5. The success was Royal Acquisition’s second in two starts since joining the 35-year-old Brazilian-born Furtado, who worked for Alan McCabe and Roger Charlton before setting up on his own in a 25 box yard near Doncaster and sending out his first runner in May. The victory was the third at Lingfield and the fifth in all for Royal Acquisition who won this race last year and completed a double for jockey Frederik Tylicki who won the previous race – a six furlong Class 5 – on the James Fanshawe-trained Duke Of North. Tylicki’s double matched an earlier brace by Oisin Murphy, who bagged the opening mile maiden on Sahalin for Marco Botti and the six furlong seller on State Of The Union at his first start for Epsom handler Lee Carter. 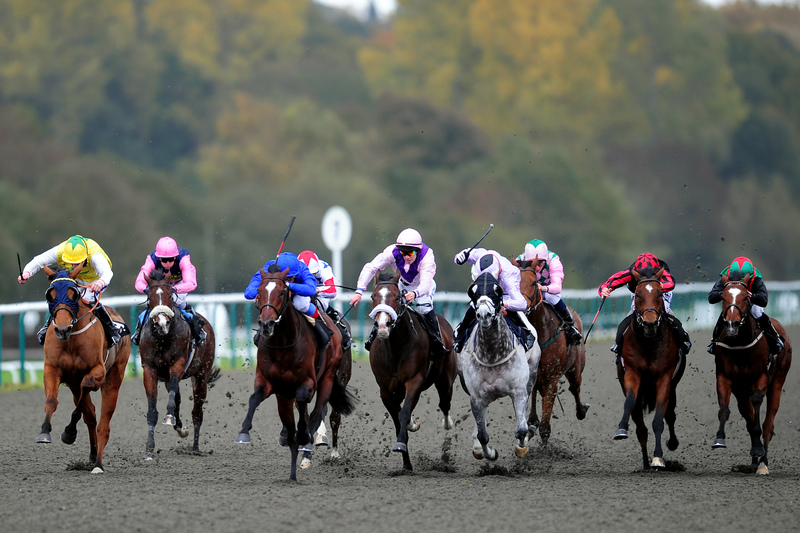 Lingfield race again next Tuesday (October 22), the last meeting before the racecourse that first hosted racing in 1890 celebrates their 125th year at the launch of the third All-Weather Championships on Thursday week. “The All-Weather Championships, especially the £1.1 million finals day at Lingfield Park on Good Friday, are now an established part of the British Racing Calendar,” Arena Racing Company’s (ARC) chief executive Martin Cruddace said when details of this year’s championships were officially revealed. The All-Weather Championships start on October 29 at Lingfield and conclude there with a £1.1million finals day on Good Friday 2016. The £200,000 Coral Easter Classic All-Weather Middle Distance Final is the feature event on finals day, that includes another six championship races that each offer prizemoney of £150,000. The other categories on finals day at the Surrey racecourse are 3-Y-O Sprint, 3-Y-O Mile, Sprint, Mile, Fillies & Mares and Marathon.